Choosing the right patio furniture not only sets the visual appeal of your home but at the same time it elevates your spirit by setting mood for a perfect outdoor experience. While selecting unique patio furniture to adding an extra charm to your lawn, backyard or porch, the right accessories can enhance the design aspects. Accessories such as umbrellas, cushion storage boxes, patio covers, etc. will also greatly improve the functionality of your space. 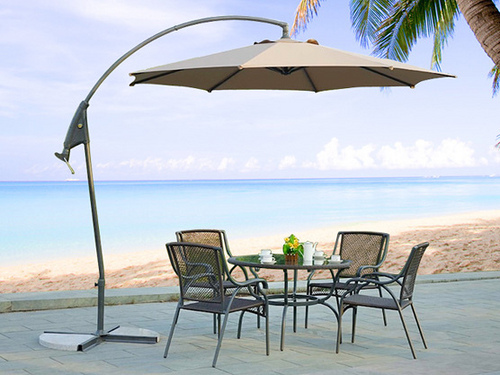 • Umbrella for Outdoor Furniture: Patio umbrellas provide protection to you and your furniture from rain, sun and wind. The right umbrella will add comfort and class to your deck or backyard. Though most of the outdoor dining sets come with a market umbrella, you may also opt for freestanding ones. They offer shade to your poolside, garden, porch as well as to your backyard décor. Umbrellas are usually made of durable materials and are water resistant. They are available in various colors, patterns and sizes to suit your preferences. Patio umbrellas also protect your outdoor furniture from UV rays of the sun by providing up to 99% UV protection. • Plastic Covers for Patio Furniture: In our climate, it is very essential to have covers for your outdoor furniture. Plastic or vinyl covers provide protection against, dirt, wind, snow, humidity and rain. They are easy to maintain and mostly affordable. You you can’t part with the extra cash for custom covers, a tarp will also do the job. • Storage for Patio Furniture Cushions: Protect your expensive patio furniture cushions by putting them into a water resistant storage bag or a cushion storage box. Cushion storage bags and boxes are specially designed to protect your cushions from rain and dirt that can damage the cushions over time. 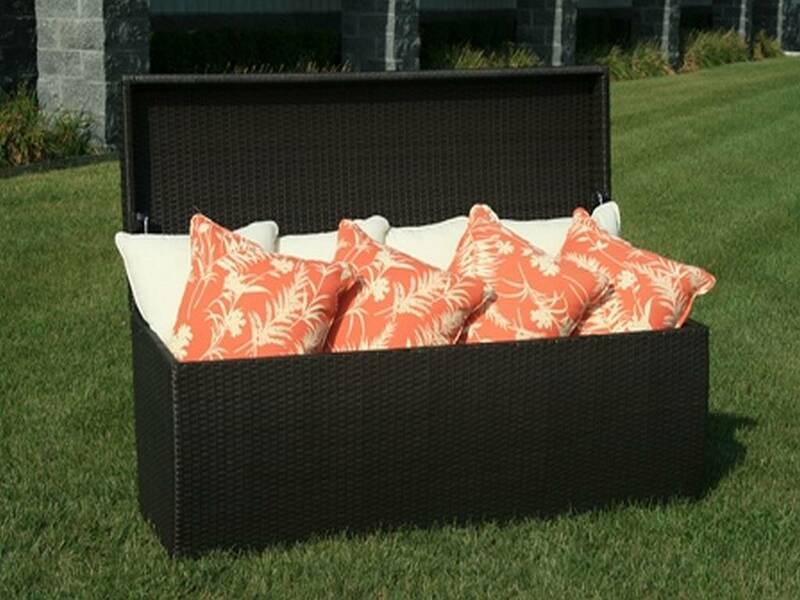 Outdoor storage boxes are a convenient way to store your patio cushions when they are not being used. Keep them handy without having to run to the garage or basement every time it rains. These are some useful outdoor patio accessories that are highly recommended for protection of your patio furniture and improved functionality of your outdoor space. 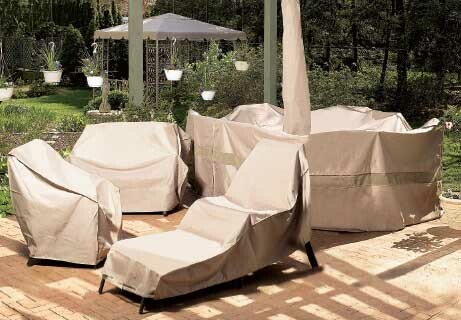 The protective covers for outdoor furniture are made of various durable materials such as vinyl, polyester and synthetic materials to suit different weather conditions.